Is there any fabric more perfect for warm weather than linen? It’s cool, it’s comfortable, and it’s flattering, and this season, we’re especially drawn to the way artists have transformed the textile into truly remarkable pieces with unique details and interesting silhouettes. 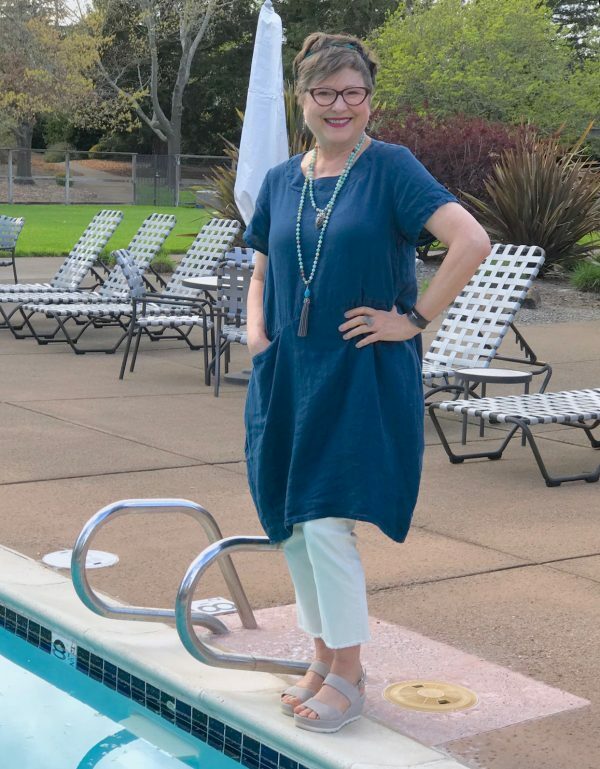 So, to honor this spring-ready fabric, we’ve invited our brand ambassadors to share with us their favorite linen piece from our newest apparel collection. 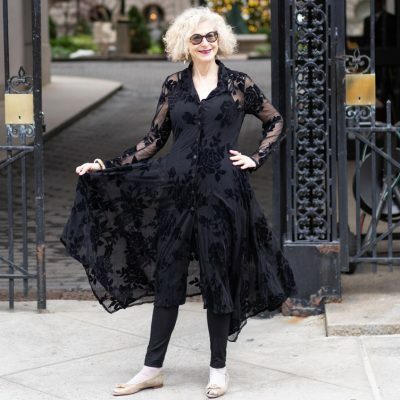 Today, professional image consultant and author Brenda Kinsel shares how her love of the fabric is translated in the Sandrine Dress by Lisa Bayne. Working with women over the years (decades, if we’re really counting), I find they have definite opinions about linen. Put simply: They love it, or they hate it. When I come across people who hate linen, it’s absolute—though I’m hoping to influence that passionate response. As if wrinkles make the garment defective from the start. For the people who love it (I’m in that category), there’s no uproar. In fact, nothing has to be said. It’s like linen lovers share a secret wink, handshake, or hug that makes you know how much they love and appreciate linen, too. Like loving weekday movie matinees, soft-serve ice cream, or British detective series on Netflix, it just goes without saying. 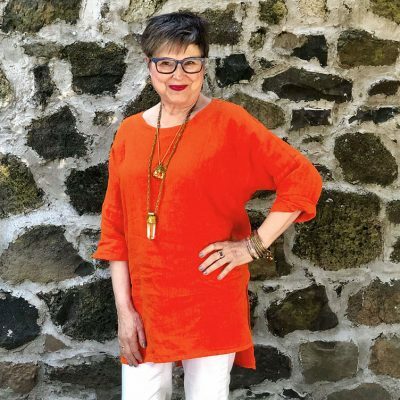 Now, if you study women who wear linen, I think you’ll notice an air of confidence or je ne sais quoi—it’s an intangible quality, but you recognize it when you see it. I have a theory for why that’s so, and it starts with wrinkles. Trying to keep linen from wrinkling is futile. It shouldn’t even be attempted. When you accept the fact that linen is supposed to wrinkle, there’s a feeling of freedom that comes over you. What I notice is that when I put linen on my body or a client’s body, fashion fairy dust starts falling all around. There’s an excitement in the air—a sizzle. If one could bottle it, it would be similar to the excitement that takes over the moment you tell the kids, “We’re going to Disney Land!” Remember that feeling? Linen is practical. When the weather is warm to hot, linen is the coolest fabric you can put on. I like mixing it with other fabrics, too. 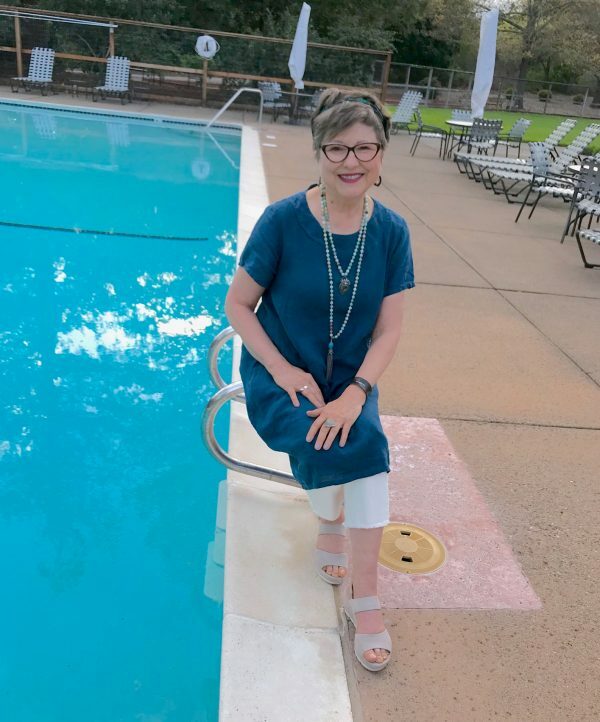 I took this linen Sandrine Dress designed by Lisa Bayne from Artful Home and wore it over my frayed, cotton creamy-colored ankle jeans. The Sandrine Dress comes in three colors: ink (the one I’m in), poppy, and marigold. Linen calls for expression. There’s an uncontrollable urge to adorn linen with your favorite things. 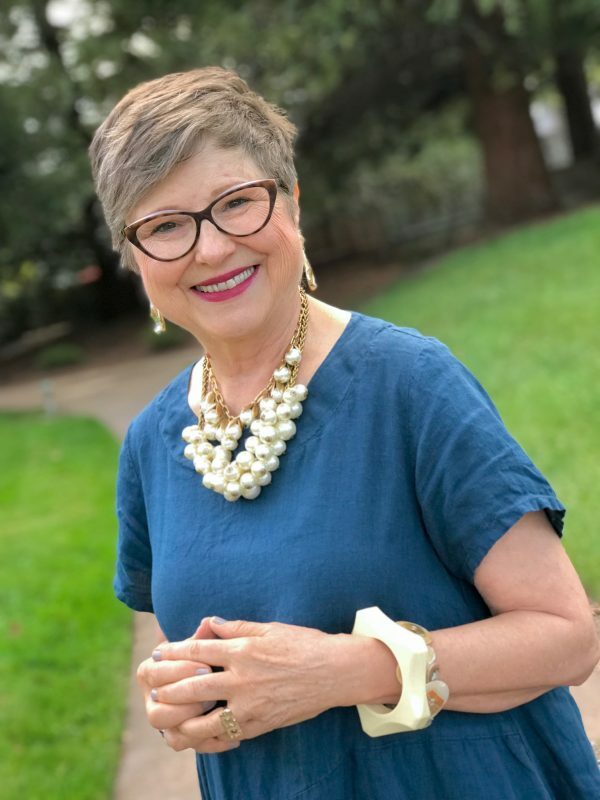 And for those of you who are skeptical about linen, think of it this way: linen naturally calls for accessories, and the pulled-together look you create is going to draw the eye away from the wrinkles. Win-win! You’ll feel cool and relaxed while looking glamorous or chic. When I wore the Sandrine Dress over my frayed jeans, I reached for my beaded necklace from my friends the Sol Sisters. Look at those colors; they stand out beautifully against the ink-colored dress. This dress made me reach for a scarf to weave into my hair—that’s what happens when you wear linen! 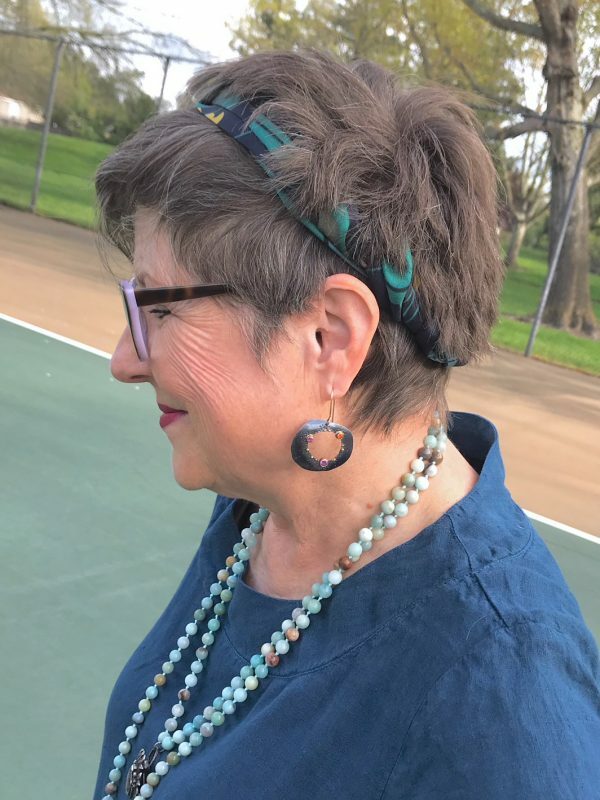 I added my Wendy Stauffer earrings from Artful Home (here’s one of hers that is similar) and my Pat Flynn Moonlight Cuff, also from Artful Home. Now, tell me: are you going to say no to the linen dress when it looks as great as it does all put together? I didn’t think so! Like I said, linen makes me do things that I wouldn’t think to do with another fabric—at least the ideas wouldn’t come as fast as they do with linen. Here I decided to go crazy with my pearls. I created a focal point at the base of my neck by grouping two chunky pearl necklaces together. I’ve done that before in a jean outfit. I added my Alexis Bittar Lucite earrings, my Lanvin vintage bangle, one of my button bracelets, and my Victor Sanz owl ring. I put on my patent-leather blush platform sandals by Prada. I felt ready for the next social event where I wanted to be on the dressy side. Can you see how open linen is to accessories? And it very well could be the wrinkles that are enticing that action. With that little bit of rumpled feeling with the fabric, more accessories actually are better. If this was a fine silk dress, more wouldn’t be better. It could be overpowering. I pulled out my denim jacket as a quick wrap for the Sandrine Dress. Aren’t those blues great together? My jacket had a cluster of pins on it already, and I left them all on. Mostly they are pearl pins, plus a bee pin and one that has my mother’s initial: A for Alma. I want to bring her along in this outfit. She may not be ready to embrace linen, but when she saw how cute this outfit is, it could have opened the door a tad. One last thing to share about linen: I rarely, if ever, press it. I’ll take it off after wearing it for a day, then hang it on a hanger. Some of the wrinkles will relax, but really, I don’t care if they don’t. I accept and embrace the properties of linen. In closing, let me just say that you are a free woman. I love that about you! You can choose to wear whatever you want. You can also change long-held beliefs about things, if you care to. And you can try new things with baby steps. Perhaps you’re not ready to wear a linen dress, but maybe you could wear a linen jean jacket or linen shirt over a smooth T-shirt. I just want you to know that if you decide to join the linen-loving club, you’ll be met with open arms. We really are a friendly bunch. You’ll like us. So, my friends, I’m ready to open the door to your comments. Love? Hate? Might consider? Open to trying it now that you know it’s meant to wrinkle? Have been wearing it for years; what’s the big deal? Let’s get this linen conversation going! And there’s more linen online! Visit our linen collection to see more pieces crafted from this spring-perfect fabric, and check back soon to read more from our brand ambassadors. Wow- thank you for this. Good morning ? 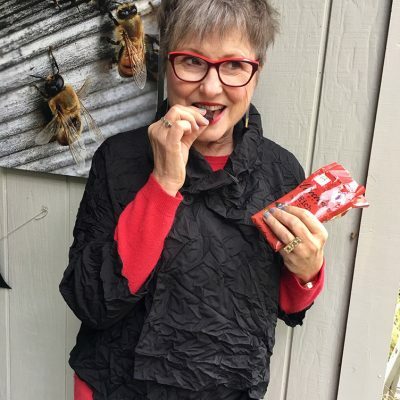 Brenda! What a wonderful article! You should be a journalist! I so agree with everything you said. 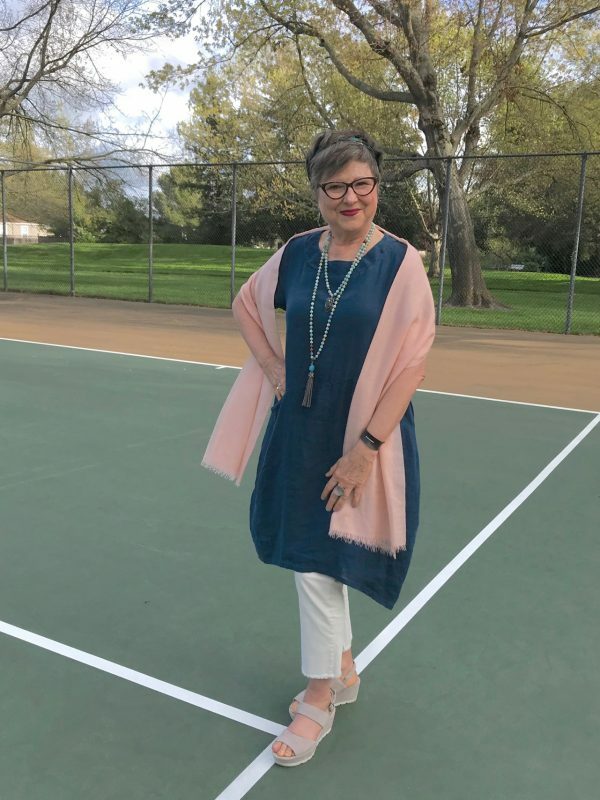 I absolutely love linen and wear it every day. I think that the wrinkles make it even more charming. And I will wear the darker colors, i.e. Lantern pants, well into the fall here in Alabama. I get compliments on them (I have four thus far!) almost every time I wear them. Everyone wants to know where I got them! Than you so much for the clever article. It “made my day”! ?? Sallie ? I totally agree with everything you said about linen. I even have linen sheets for my bed. There can never be too much linen in anyone’s life! I own the Sandrine dress in three solid colors plus the stripe version. I know that when the temps hit 90, nothing else will do. 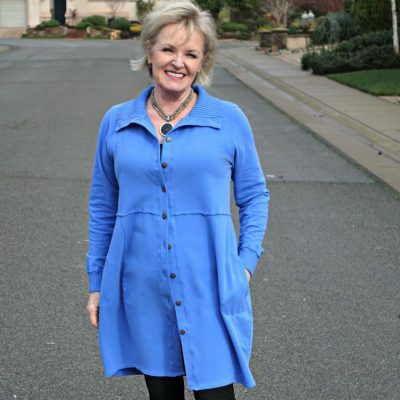 Thanks for sharing all the different ways to wear this stylish, comfortable, relaxed and flattering dress. The denim jacket is trendy and perfect for cooler nights. Great idea! 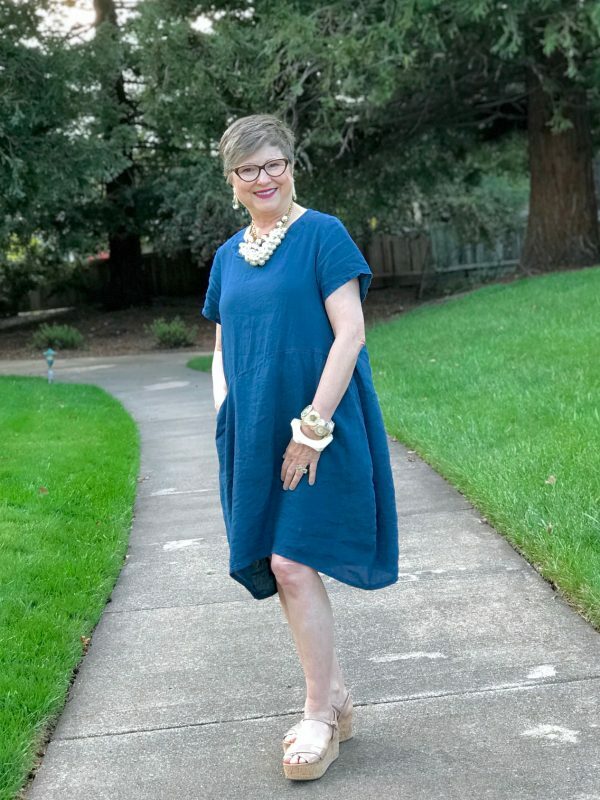 I’ve bought many dresses from Artful Home, but the linen styles are always my favorite.